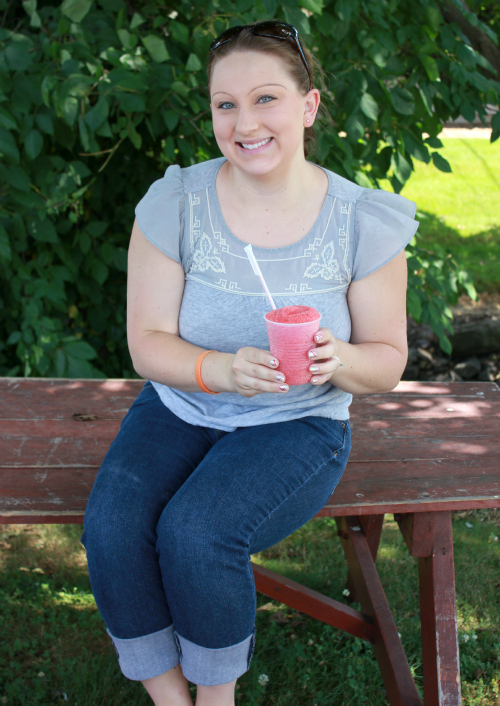 after we finished picking strawberries the other day, we cooled off with a strawberry slushy at the strawberry farm. 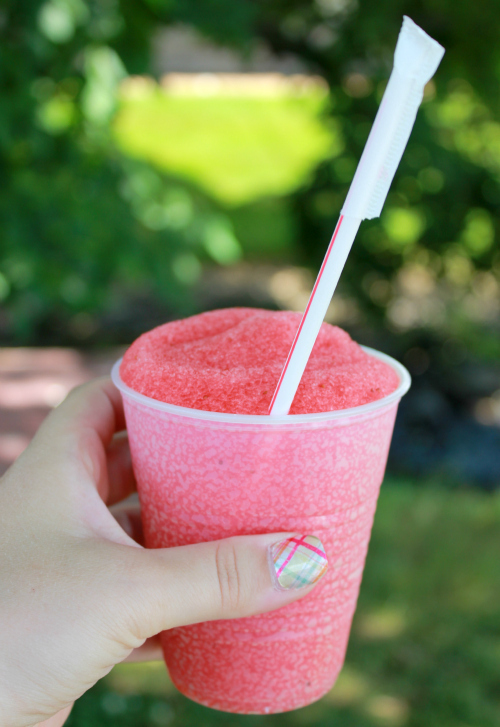 this slushy was so refreshing on a warm summer day. the ingredients were so simple that i can't wait to make it at home: strawberries, water, lemon juice, honey, and ice cubes.